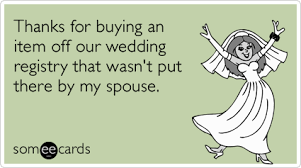 When a Bridesmaid, What Type of Gifts Are You Expected to Buy the Bride? There are several different responsibilities that you will have as a bridesmaid, ranging from making sure that the bachelorette party goes off without a hitch to making sure that you make a speech for the reception. Still, this leaves people wondering whether you have the responsibility of giving a gift to the bride, and the easiest answer is that it’s all up to you. Many bridesmaids find that their dedication of time is more than enough as a gift, however, if you want to give the bride a little something extra, we’ve compiled a list of the type of gifts you should consider. If you’re in a situation where your finances are tight, going in on a group gift is something that all of the bridesmaids will be happy about. This is especially true if each person of the bridal party is responsible for buying their own dress, shoes, and accessories. You’ll still be able to give the bride a spectacular gift, but you won’t be responsible for shelling out a hundred extra dollars after already investing in your wedding attire. You can all get together and gift her a couple of tickets to a wine tasting or tickets to a concert she has been dying to attend. The main thing about weddings is that everyone is looking for the most heartfelt gift that they can give, and there’s nothing more warming than a personalized gift that you made all on your own. Wedding scrapbooks are a fantastic way for the bride and groom to relive all of the things that happened before they say their vows, such as choosing the bridesmaid dresses, finding the right venue, or even putting the wedding favors together. This also means that you’ll be responsible for being by the bride every step of the way, or at least have the maid of honor take photos throughout the planning process for you. You can then print the photos, take a trip to your local craft store, and buy all of the materials that you’re going to need to put together a scrapbook. If you’re not the most creative-minded person, you can always opt for a traditional wedding photo album. Another personalized gift that you can give to the bride is a customized piece of art and the best part is that you don’t have to be creative or talented to do it. All you have to do is find a local artist that has the ability to create a piece of art that you think the bride will love and you’ll be supporting your local art community at the same time. When it comes to commissioned artwork, you’re going to pay more than you would for a print or a framed photo, but it will be well worth the investment because it is one of a kind. Consider having a portrait of the bride painted or a scenic picture that she can hang in her home. The wedding isn’t the only important part of the bride’s special day, especially if they’re planning a honeymoon right after the reception. In this case, you can take your gift a step further and create a gift basket with items that she’s going to need on her time away, though you’ll want to make sure that you buy items that can be taken on a plane and that she will actually use. For example, if the bride and groom are heading to a tropical location, design a gift basket that includes bikinis, great drink mixes, and sandals that she can wear on the beach. 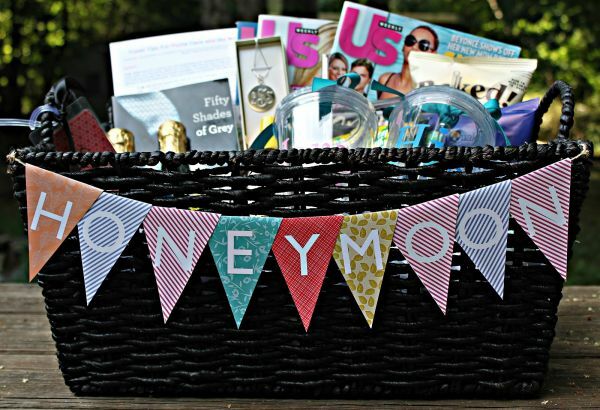 Another fantastic gift basket idea, if you aren’t sure of where they’re going on their honeymoon, is to great a date night basket that they can use when they get back from their trip. Include a couple of movie rental passes, popcorn, snacks, and other treats that they can enjoy with each other. You can also create a picnic basket so they can spend the afternoon at their favorite park enjoying a fantastic lunch together and reminisce on their favorite events from the wedding. If all else fails, it can be quite advantageous to rely on the registries that the bride sets up for the duration of her wedding celebrations. In all honesty, it’s best if you encourage her to make a registry as it also makes it easier for guests and other bridal party members to budget their gifts accordingly. It’s important to remember that you might want to consider buying a gift for their engagement, their bridal shower, and the wedding itself, so you’ll want to opt for gifts that are affordable yet useful. If the bride is deadest against creating a registry for any of her wedding-related events, there’s always the possibility of giving her a gift card or cash that she can spend at a home goods store to buy décor or small appliances. This is especially useful if you know that she and her husband are moving into a new home together and are lacking a couple of essential items that they should have, such as a comfortable set of sheets or accent pillows. You may also want to consider setting up a registry on behalf of the bride if she gives you the go-ahead to do so. There’s already enough for her to worry about and a registry might be the last thing on her mind, so if you’re able to make any step easier for her, it’s recommended that you do so. Buying a gift for the bride is all dependent on your personal budget and the financial investment you’re responsible for in terms of clothing, food, and any part of the shower. In most cases, your presence at her special day is more than enough but if you want to go a step beyond the norm, you can always rely on one of these fantastic gift ideas for her special day.